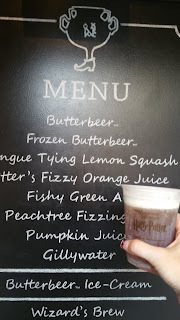 Travel Time : Tried and True Butterbeer Recipe...It's not like Diagon Alley but it's close! Tried and True Butterbeer Recipe...It's not like Diagon Alley but it's close! If you are reading this, most likely you are dreaming about visiting Universal's Harry Potter delights, or you have returned and have trip melancholy. I have the latter. I recently returned from a wonderful trip to Universal Orlando. 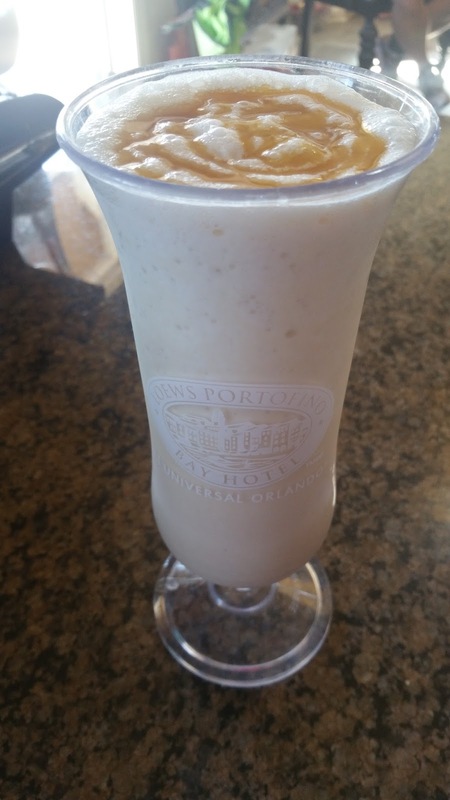 I had several glorious days walking around drinking Butterbeer in different forms, watching my 17 year old Witch cast spells with her similarly inclined magical friend after they chose their interactive wands, and lounging around the pool at the Hard Rock. I'm home now. And I wanted Butterbeer. So I searched for recipes. Some of them are really detailed...boiling things, putting a dozen ingredients together. Not only am I impatient, but I also didn't want a grocery cart full of stuff just to make this treat. So I took a basic recipe, threw it together in my way, and hit gold the very first attempt. 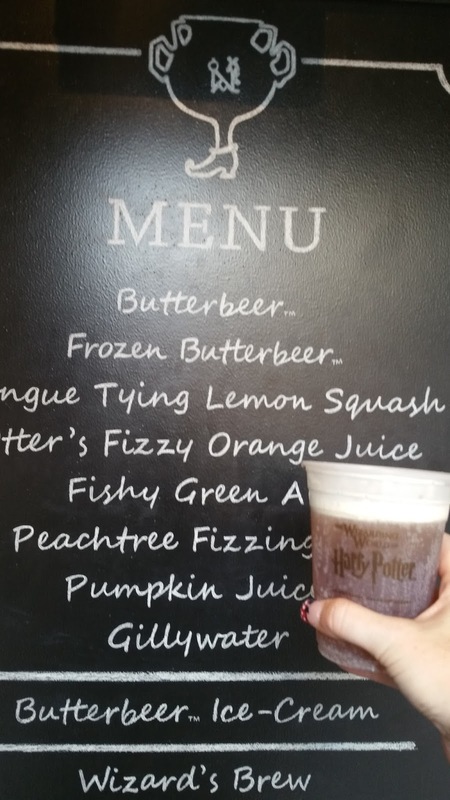 There are two kinds of non alcoholic Butterbeer at Universal...frozen and non. I prefer the non. This recipe sort of mixes the two. Still drinkable, but a little colder and more solid than the non frozen at the parks. First, I microwaved the ice cream tub for 20 seconds to soften. I used a tall fancy glass from Portofino Bay (why, oh why didn't I spring for a Hard Rock keeper cup on my trip, sniff). Put three scoops of ice cream and about a cup of cream soda in a blender (this is how much of a slacker I am, I just tossed in the cream soda willy nilly, but I used to bartend and I'm often incapable of changing old habits). Blend on the lowest level until most of the ice cream is blended, a few yummy lumps are acceptable. Poor into cup, top with Cool Whip and swirly whirlies of butterscotch topping and THAT IS IT. Drink up, Muggle. Disney Pin Trading for Fun and Collecting!